1. MAJIC 39024 8-1502 DIAMONDHARD ACRYLIC ENAMEL DARK BROWN GLOSS SIZE:1/2 PINT. 2. MAJIC 39462 8-1546 DIAMONDHARD ACRYLIC ENAMEL GRAY PRIMER SIZE:QUART. 3. MAJIC 39012 8-1501 DIAMONDHARD ACRYLIC ENAMEL BLACK GLOSS SIZE:QUART. 4. MAJIC 39034 8-1503 DIAMONDHARD ACRYLIC ENAMEL SANDY BEIGE GLOSS SIZE:1/2 PINT. 5. MAJIC 39014 8-1501 DIAMONDHARD ACRYLIC ENAMEL BLACK GLOSS SIZE:1/2 PINT. DiscountPaint.net :: MANUFACTURERS :: MAJIC PAINTS :: MAJIC 39201 8-1520 DIAMONDHARD ACRYLIC ENAMEL SATIN WHITE SIZE:1 GALLON. 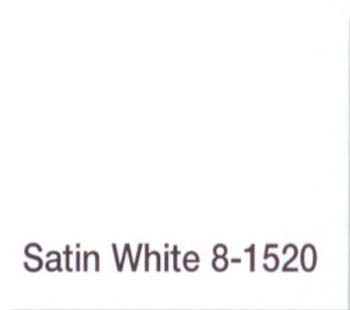 MAJIC 39201 8-1520 DIAMONDHARD ACRYLIC ENAMEL SATIN WHITE SIZE:1 GALLON. This is truly one of the finest quality general purpose coatings available today. Diamondhard Acrylic Enamel features superior adhesion to almost any interior or exterior surface with a resilient durable finish that lasts for years. This is a water base formula that offers added convenience and safety in a product that will outperform conventional oil base paints in most situations. GENERAL: Surfaces to be painted must be clean, free of dirt, chalk, grease, loose paint and all other residue or contaminants. Scrape, wire brush and sand to remove loose or unsound paint layers. Clean the surface by washing with a low sudsing detergent and water. Remove mildew by washing with a solution of household bleach and water (1:3). Rinse thoroughly. Allow surfaces treated with bleach solution to dry at least 48 hours before painting. Stains from ink, smoke, water and grease should be sealed with a good stain killing primer. WOOD: This product can be applied directly to wood. But for best appearance, use an oil base enamel undercoater or acrylic primer before applying the finish coat(s). METAL: Clean new metals with a solvent such as mineral spirits to remove grease and oily residue. Allow solvent cleaned surfaces to dry completely. Remove all rust by wire brushing, sanding or chemical treatment. On ferrous metals subject to corrosive conditions or where rust has been a recurring problem, use a rust inhibiting primer. No primer is required for aluminum. MASONRY, BRICK AND CONCRETE, DRYWALL AND OTHER SURFACES: This coating will adhere to a wide variety of other surfaces. If you are painting a difficult or unusual surface, first paint a small area, allow to cure for 5 days, and test for adhesion by apply masking tape to the surface then removing the tape in a quick upward motion. If the finish does not lift, you have a suitable surface for painting. See label for additional details. Do not apply at temperatures below 50°F. Avoid painting in direct sunlight or during unusually hot or windy conditions. Do not paint exterior surfaces at night or during damp or rainy weather. Apply this product with a good quality polyester brush or premium short nap (3/16”-1/4”) roller. Apply a full even coat, brushing out to avoid runs and sags. This product provides superior leveling which will eliminate brush marks as it dries. Avoid “over burshing” after the paint has begun to dry or tack. If you must stop painting before finishing your project, stop at a corner, edge or other breakpoint, rather than the middle of a surface. If applying with airless spray equipment, apply at package consistency, unthinned. A .013-.015 tip at 1,200-1,800 PSI is recommended. For conventional spray, thin sparingly with clean water up to one pint per gallon. If applying more than one ca of product, intermix or “box” the paint together to ensure maximum color uniformity. WOOSTER RR014 JUMBO KOTER FRAME SIZE:26.5" PACK:12 PCS. MINWAX 71029 SEMI GLOSS POLYURETHANE SIZE:1 GALLON. BACK TO NATURE 42705 HP05 HIGH PERFORMANCE STRIPPER SIZE:5 GALLONS. ENVIROCARE 4001 CLEAR FORSITE MOLD & MILDEW RESISTANT COATING SIZE:5 GALLONS. NORTON 49224 5" 8 VAC HOLE P60 GRIT HOOK & LOOP DISCS PACK:25 PCS. RUSTOLEUM 245219 SPRAY HAMMERED SILVER UNIVERSAL SIZE:12 OZ. SPRAY PACK:6 PCS. RUSTOLEUM 7277830 SPRAY MATTE NICKEL METALLIC STOPS RUST SIZE:11 OZ. SPRAY PACK:6 PCS. VALSPAR 4308 MEDALLION EXT LATEX S/G HOUSE & TRIM PASTEL BASE SIZE:1 GALLON.